"The Dog is man's best friend" is a saying which is based on more than affection. Records show that man had domesticated the Saluki in 329 BC but is almost certain that the relationship between man and wolf strectches back to the earliest days of man hunting for food. Perhaps the wolf would circle the camp after a successful hunt in the hope of stealing food, or even the possibility that early man would throw the wolf a bone from the meal. This may have developed into a beneficial partnership where the wolf would guard the camp in the exchange for a ready meal. Perhaps the reverse was true, it could have been that man recognised that the wolf was a better hunter. So he waited until the wolf had caught and killed its prey before chasing the wolf away and stealing the catch, perhaps leaving some of the prey for the wolf in return. We will never know how the relationship between man and dog started but one thing is certain, it has been a partnership unlike any other for a long time. More recently, with the invention of firearms, man recognised that once the prey had been shot, it would fall some distance from the man with the gun. If the prey could not be found then it would be wasted. 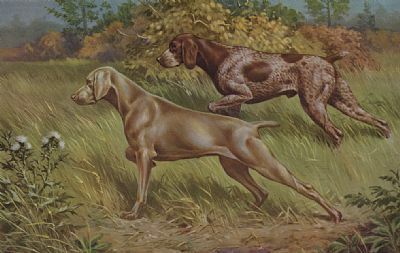 What man needed was to develop the natural ability of the dog, with its excellent sense of smell, to locate the prey and bring it back to the shooter. 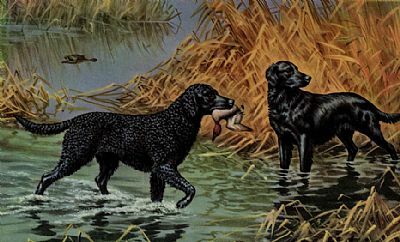 As the development of firearms improved from the early muzzle loading guns which were slow to reload, to the breech loading shotguns of today, man needed to breed a dog which would hunt the ground to find game. 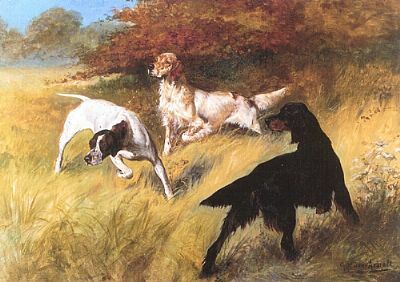 Modern gundogs are not a breed of dog, but are made up of several breeds, each of which has developed over many centuries to bring out different characteristics. 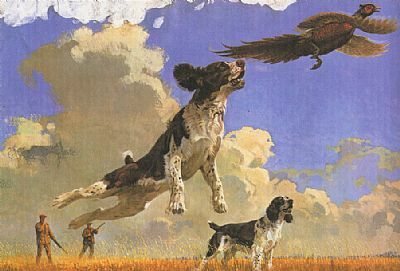 WHAT IS THE BEST GUNDOG? Do you own a Pure Bred Gundog? Are you intested in Gundog Activities?